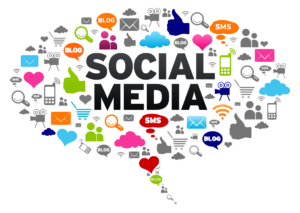 Home » Social Media Opinion » Why Isn’t There Anything New in Social Media? One thing you’ll hear social media “experts” (and be cautious around anyone who actually calls themselves that) tell business leaders over and over again is that you have to constantly keep an eye out for the newest thing, because you never know when the current big thing will go away. Okay … good advice. But, where’s the newest thing? Is there going to be one? Looking at the landscape of social media, it really hasn’t changed much for a while now. By a while, I mean the last few years, which in social media is an eternity. We’ve had Facebook, Twitter and LinkedIn for at least 10 years each. Pinterest and Instagram, meanwhile, came into the world six and four years ago ago, respectively. For the purposes of this discussion, I’ll consider those the “big five”. I realize this leaves out Snapchat and many of the instant messaging text-like services, but those are difficult to use for business purposes. It also leaves out Tumblr and other blogging services, but for the purposes of this discussion, I’m not considering blogging. Finally, it leaves out Google+ because, well, the service should have died long ago. So, why haven’t we seen anything new pop up that takes users away from the “big five” group? The fact is, there’s simply no new technology popping up that can’t be used on those big five. Ten years ago, most of what was posted was text and links. That was covered by Facebook, Twitter and LinkedIn. Then, as mobile phone cameras became better, pictures were a popular thing to post. You can do that on Facebook, Twitter and LinkedIn, and the rise of mobile phone photography led to the popularization of Instagram and Pinterest. Video also became a popular thing to post, which was covered by three of the big five, along with YouTube and Vimeo. Vine briefly became popular for short video clips, but was swallowed up by Twitter and recently shut down. So, what’s next? It’s hard to say. We may have reached near saturation on users for social media, at least in the U.S. The younger kids who are just reaching the age where they’re using social media seem to flock to Instagram and Twitter, two of the big five. But, if something new is going to arrive, it will likely be those kids using it first. In a way, those of us with preteen and young teen kids may be at an advantage, because we should be keeping an eye on what they’re doing anyhow. In the end, what I believe we’ll find is that the big five won’t change in the next five years, barring a complete collapse of one of the companies for reasons that have nothing to do with the number of users on the site. Twitter is the most likely possibility there, although the more likely outcome of that company’s problems is that they’re sold to a larger group. Other than that possibility, what we’re most likely to see is any new technology is simply integrated into the existing social media “giants,” compelling the average user to simply start using them there.